One Conqueror to Rule Them All! 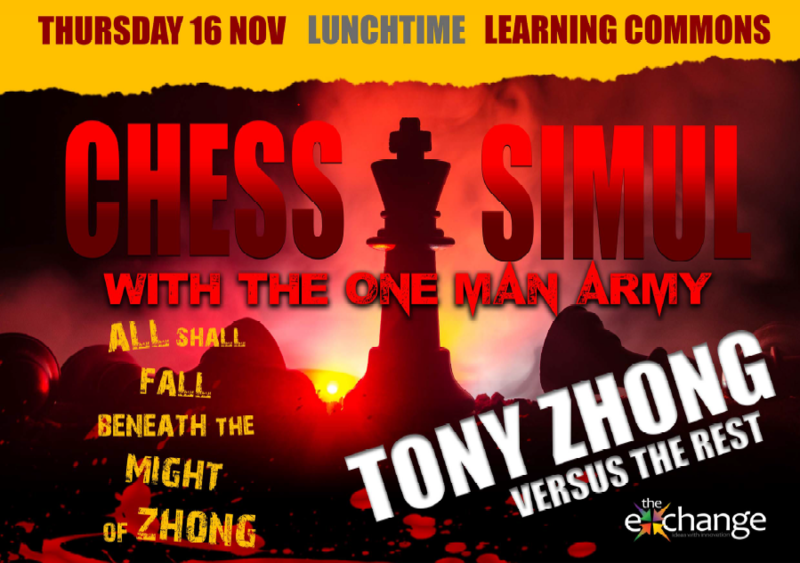 In a superb display of skill and calmness under pressure, our champion chess player, Tony Zhong, took on eight other boys or groups of boys in a lunchtime chess simul, winning five of those games before the bell signalled the end of lunchtime. This involved Tony moving from one table to the next playing eight games simultaneously. The boys could think about their moves while he played at the other tables, but they had to make their own move in front of him. 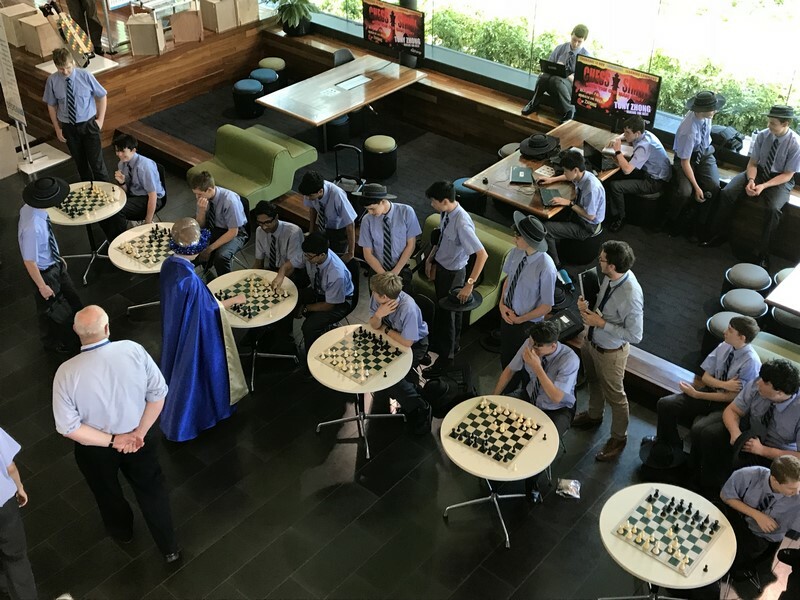 There were so many boys wanting to sign up to beat the champion that none of the teachers managed to find a free table! No-one could come close to beating Tony however, and the only person to slow him down was Marcus, our new School Captain and current Dux of Year 11. 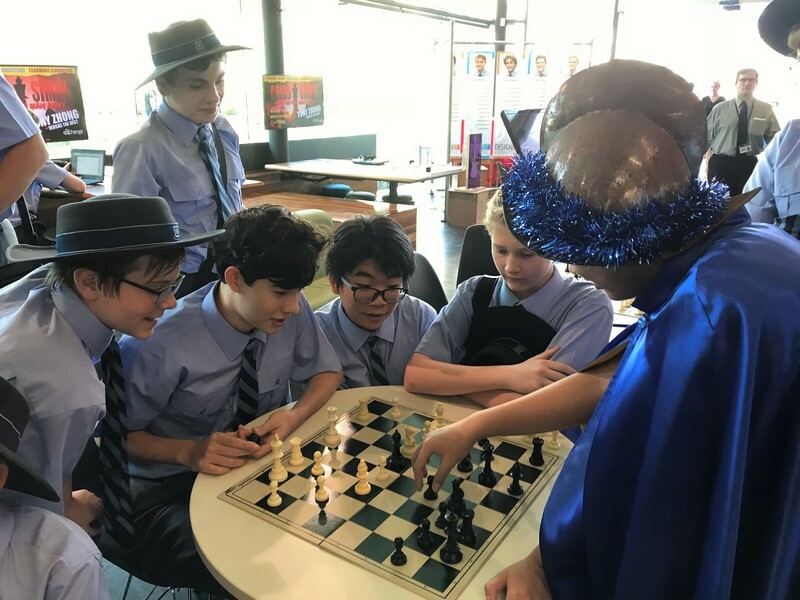 One of our classrooms in the Senior Library is the chess room where chess coaching happens after school, and where our 9-12 Chess Club is held two lunchtimes each week, but there are always boys in there playing before and after school, at morning tea and at lunchtimes. 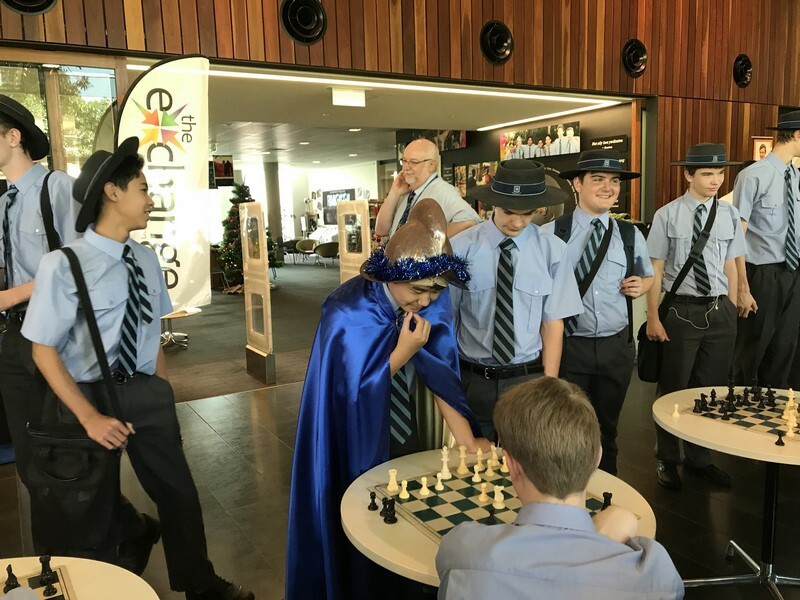 We also have a number of chess boards set up on various tables throughout the Library and the Learning Commons, and this constant opportunity to play chess helps the boys to focus and to hone their logical and strategical thinking processes, thus improving their academic results. 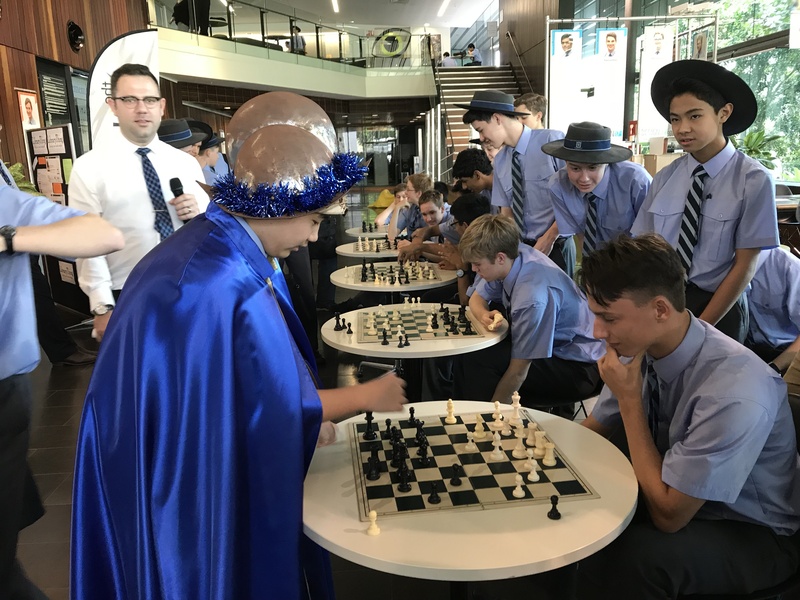 It is also the reason that BGS has been the champion GPS Chess school for 12 out of the past 14 years, and the champion State finalist team, representing Queensland at the National Schools Teams Chess Championships, for 5 out of the past 7 years. 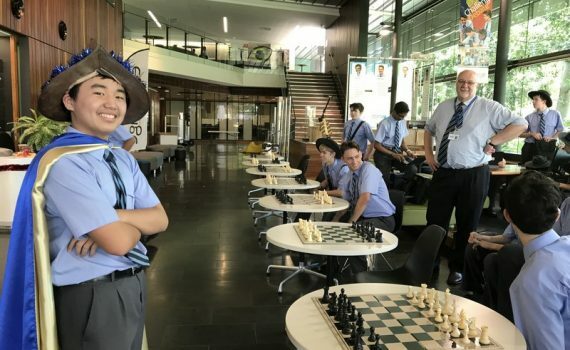 With Tony in Year 9 as our top player, and with a lot of excellent younger players coming up through the ranks, the future looks bright for Chess at Grammar! !